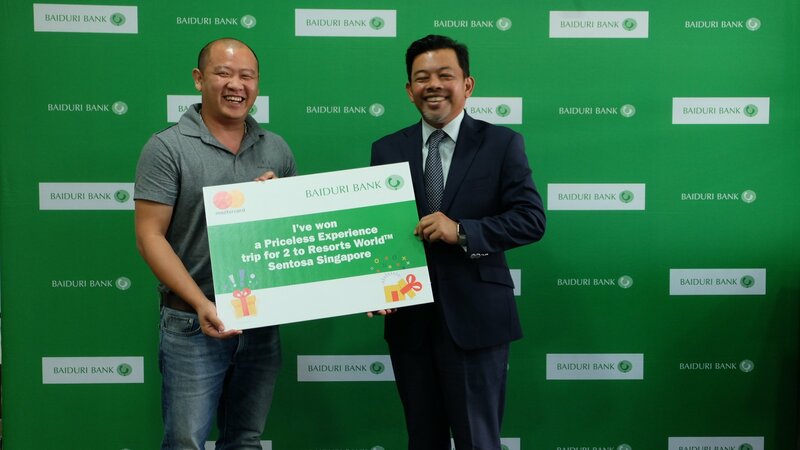 Members of the public can look forward to a weekend of fun and games during Baiduri Bank’s kampong themed roadshow, which will take place on 27 to 28 April 2019 at the ground floor of OneCity Shopping Centre. The roadshow will showcase our insurance and investment capabilities as well as a variety of products such as cards and loans. There will also be a dedicated section where the public can learn about our Smart Executive Programme benefits. 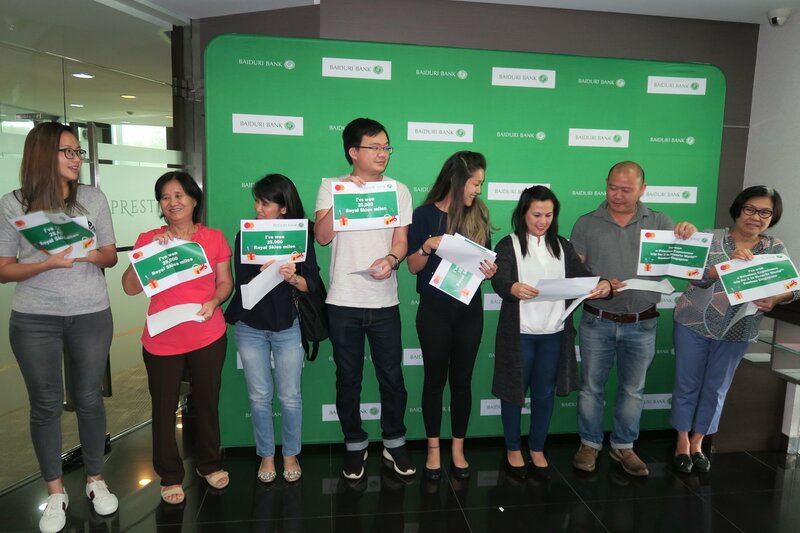 The roadshow will also feature family-friendly games and activities such as ‘What’s in the Box’, a kids corner and a photo backdrop. There will also be traditional local games such as Congkak, ‘Guli Rush’ and ‘Guli Swing’. 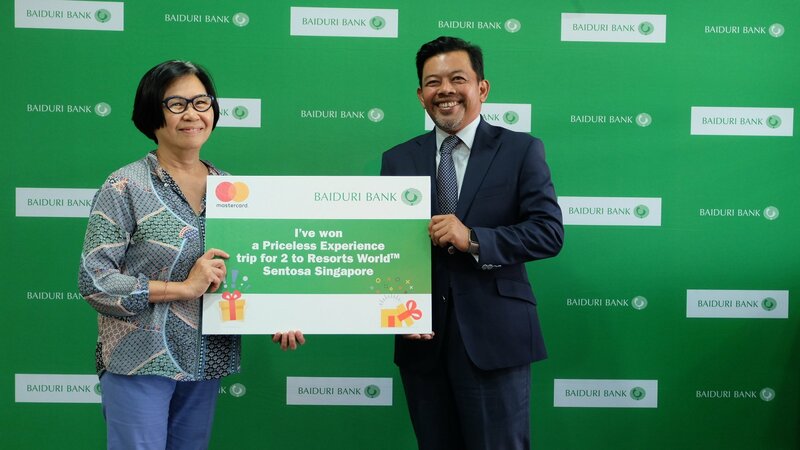 Visitors to the Balik Kampong with Baiduri roadshow will also receive a free gift for every BND20 spent in a single receipt on their card at any participating outlet at OneCity Shopping Centre during the roadshow, subject to terms and conditions. For full terms and conditions and more information on the roadshow as well as Baiduri’s products and services, the public can visit the website at www.baiduri.com or follow us on social media at Baiduri Bank Group on Facebook or @baiduribank on Instagram and Twitter. The public can also call the Baiduri Bank Customer Helpline at 244 9666. It is now up to us to demonstrate what Shariah is really about, and why it can be better than whatever conventional law that is out there… Provided it is implemented and governed by the right people who are truly qualified for the job. You wouldn’t hire a preacher or a pastor as the presiding judge or even prosecuting lawyer (ok unless he is indeed a lawyer or judge as well). Baiduri Bank, the largest conventional bank in Brunei Darussalam has announced the appointment of Mr. Ti Eng Hui as CEO of the bank and the appointment of Mr. Pierre Imhof who is retiring as CEO, to the bank’s board of directors. Both appointments are with effect from 1st April 2019. Mr. Ti Eng Hui, a Brunei citizen, has over thirty years of banking experience including stints at Citibank and Standard Chartered Bank. He has been with Baiduri Bank for the last 20 years during which he held a number of key management positions including serving as Deputy CEO of the bank in the last five years. Mr. Ti is an alumnus of the University of Toronto where he graduated with a Bachelor of Science degree in Computer Science and Economics in 1985 and Oxford University where he recently completed the Advanced Management and Leadership Programme. Mr. Pierre Imhof who is retiring as the bank CEO, led Baiduri Bank during a period of significant growth which saw Baiduri Bank becoming Brunei’s largest conventional bank with a rating by international rating agency, Standard and Poor’s of ‘BBB+/A-2’ with Stable Outlook. 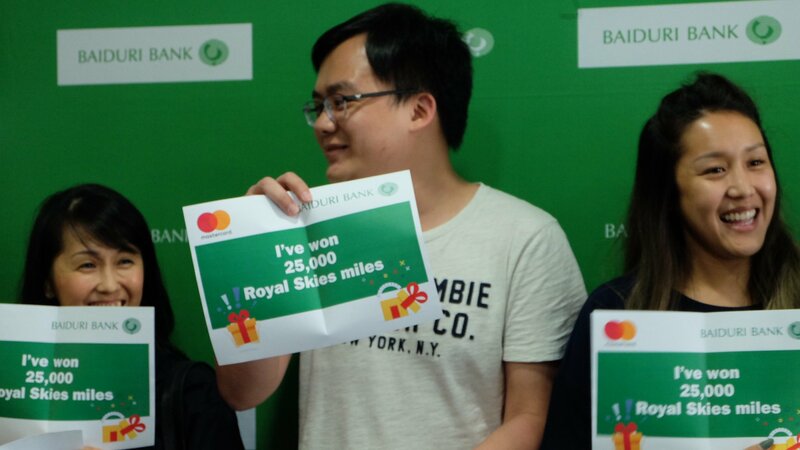 During this period, the bank won numerous accolades including Bank of the Year in Brunei awarded by The Banker magazine, UK, thirteen times. YAM Pengiran Muda Dr. Abdul Fattaah, Chairman of the board of directors of Baiduri Bank said, “The board of Baiduri Bank wishes to acknowledge the significant contributions of Mr. Pierre Imhof to Baiduri Bank’s development. We are pleased that the bank will continue to benefit from his international experience and knowledge as he joins the board following his retirement as CEO. At the same time, we are pleased to welcome Mr. Ti Eng Hui who is one of the country’s most experienced local bankers as the next CEO of the Bank. I am confident that these appointments and the support of the bank’s excellent management team will further strengthen Baiduri Bank’s position as Brunei’s largest conventional bank and the bank of choice for our customers”. Bangunkan kemakmuran pelihara keamanan. Teguhkan kedaulatan. In celebration of its fifth Anniversary today, Starbucks Brunei introduces its newest cold beverage experience. For the first time, customers in Brunei can enjoy the Sparkling Cocoa Mango Cold Foam and the Sparkling Cocoa Berry Currants Cold Foam – two beverages that combine the very best of Starbucks innovation: cold foam and Starbucks Fizzio™. These two new beverages will be available at all its stores across Brunei starting today. The refreshing taste of the summer lies in wait under the smooth layer of frothed cold foam. With splashes of mango and passionfruit infused with the effervescent of sparkling fizz over the rich and delicate flavors of our sweet mocha sauce. This is a beverage that surprises with every sip. Our refreshing explosion of sparkling tangy raspberry and blackcurrant juice layered over sweet mocha sauce is made even more irresistible with our velvety smooth cold foam, bringing out the deliciously fizzy and complex flavors of this delectable beverage. Starbucks first introduced cold foam when it opened the doors to its Reserve Roastery in Seattle in December 2018. While rich, steamed foam has been a hallmark of Starbucks coffee since the 1980s, cold foam is a modern twist on the classic as a perfect finish to cold beverages. Frothed cold instead of hot by blending nonfat milk until it is smooth, creating layers of creamy texture and flavor without the cream. Meanwhile, the Fizzio™ machine is a breakthrough in carbonation technology with the ability to deliver an unmatched soda experience. Unlike existing sodas or at-home carbonation options, the machine carbonates finished beverages, ensuring every ingredient in the beverage receives the same level of carbonation and maximum flavor. The machine also delivers a customizable experience with the capability to adjust the amount of “fizz” in each beverage, and provides the option for customers to experience their favorite beverages. Customers can also pair the new beverages with the new Ondeh-Ondeh Muffin. Inspired by the traditional local ‘kuih’, the muffin has a combination of pandan and coconut flavors, complemented with a rich ‘Gula Melaka’ or palm sugar sauce and a hint of coconut bites. To further bring excitement to commemorate this important milestone, Starbucks Brunei is also introducing its 5th Anniversary merchandise collection which was inspired by the glistening lakes and ocean that surrounds the kingdom. The new collection includes a Double Walled Glass to help retain the temperature of your favorite Starbucks beverage, as well as a Venti (20oz) Thermos tumbler with a shimmer finish. Taste the new handcrafted Sparkling cold foam beverages, which are priced starting at BND5 onwards and will be available at all Starbucks stores nationwide. The Starbucks Brunei 5th Anniversary merchandise collection is priced from BND12 onwards, while the ondeh-ondeh muffin is priced at BND3.80. Both the merchandise and food offering are available in stores from 16 February onwards, while stocks last. For more information, please visit the Starbucks Brunei website at www.starbucks.com.bn. Forty-seven students from schools under the Ministry of Education and Ministry of Religious Affairs received lifelong learning assistance contributed by Bank Islam Brunei Darussalam, BIBD through the BIBD Advocating Life-Long Learning for an Aspiring Future, ALAF Programme. The presentation of the learning assistance was officiated by Yang Berhormat Dato Seri Setia Doctor Awang Haji Mohd Amin Liew bin Abdullah, Minister at the Prime Minister’s Office and Second Minister of Finance and Economy. The function is the sixth of its kind since the BIBD ALAF programme was launched in 2013. The total number of students who have received assistance under the BIBD ALAF programme up to January 2019 is 215. The programme’s objective is to support the students’ learning to make them future leaders through a comprehensive financial assistance. It is also a strong manifestation of the care and attention given by Bank Islam Brunei Darussalam as well as its strategic partners, the Ministry of Education and the Ministry of Religious Affairs for life-long learning, in line with wawasan Brunei 2035. Also present was Datin Seri Paduka Doctor Hajah Romaizah binti Haji Mohamad Salleh, Acting Minister of Education. 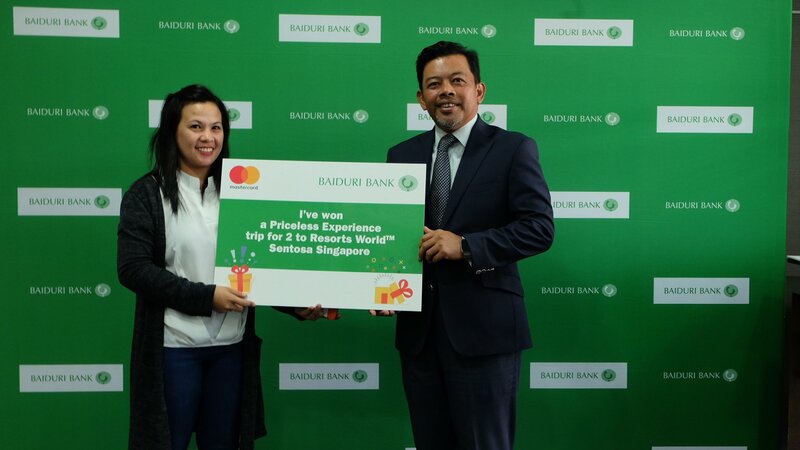 Baiduri Bank today hosted a prize presentation today for winners of their promotion in collaboration with Mastercard. One of my favorite local ads ever. Condolences to the friends and family of Adinordey aka c-boy. May his soul rest in peace. Al-Fatihah.